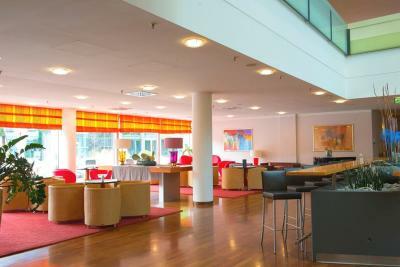 Lock in a great price for Hotel Park Consul Esslingen – rated 8.7 by recent guests! The location was ideal. with a large bathroom. We were attending seminar next door! The Room was clean and quiet. The Bed just perfect, the staff very helpful and friendly. We like the Hotel for it's location and quality. Incredible staff - had to rebook 4 of 9 rooms and everything went above and beyond - not a lot of properties left that actually have this kind of customer service! Special thanks to the girls at the front desk! Nice hotel, excellent room and services. Parking at the hotel ground floor. Very good breakfast 9included in the room) Very good and will come back for certain. 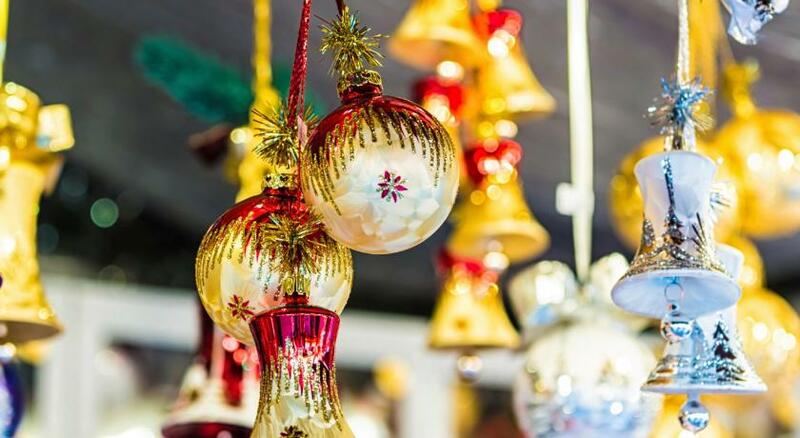 Location, perfect for the Christmas festival and walking distance to the main spots in town. Breakfast was great, easy check in, newer rooms with the right appointments. And ... I do recommend the Xmas Market, and the pagan torch carrying event on top of the castle ... it was surreal! Hotel Park Consul Esslingen This rating is a reflection of how the property compares to the industry standard when it comes to price, facilities and services available. It's based on a self-evaluation by the property. Use this rating to help choose your stay! 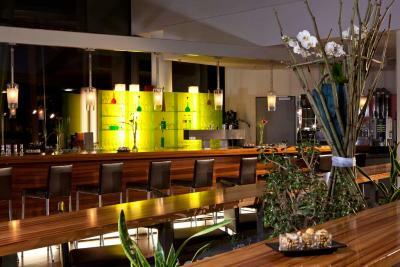 This hotel is located on the edge of Esslingen’s beautiful Old Town, only 9.3 mi from Stuttgart city center. It is surrounded by vineyards and offers views of Esslingen Castle. 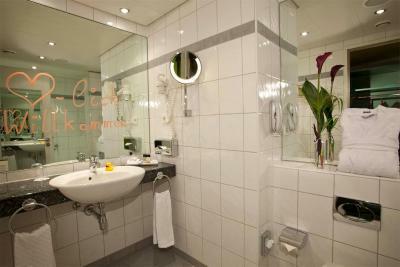 The 4-star Hotel Park Consul Esslingen offers spacious, comfortable rooms. All rooms provide free wired internet, and Wi-Fi is free in public areas. In the designer restaurant, Brasserie Saison, enjoy traditional regional specialties as well as international dishes. From the 5th floor terrace, take in the views over the roofs of Esslingen and of the Esslinger Burg castle ruins. By car, guests can reach Stuttgart city center, Stuttgart Main Station and Stuttgart Airport in about 20 minutes. This property is also rated for the best value in Esslingen! Guests are getting more for their money when compared to other properties in this city. 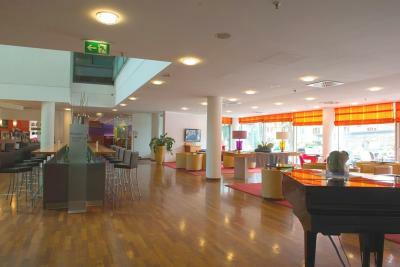 When would you like to stay at Hotel Park Consul Esslingen? This room features bright interiors and a modern design with a special color concept. This room is located on the quieter side of the property building and also offers a stepper (fitness machine). 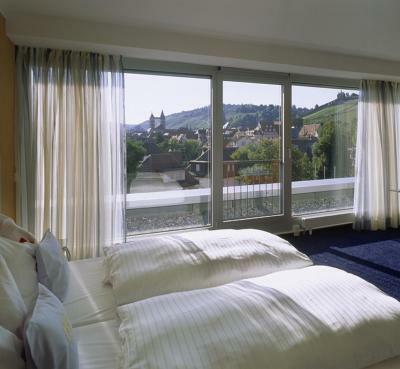 Rooms on higher floors also feature lovely views of Esslingen Castle and the Medieval town center. These suites offer a classic, modern design. They are spacious and consist of a bedroom with a separate seating area. These suites are located on varying floors. House Rules Hotel Park Consul Esslingen takes special requests – add in the next step! Hotel Park Consul Esslingen accepts these cards and reserves the right to temporarily hold an amount prior to arrival. The accessible shower was marginal. The faucet was right beside the seat and got HOT when in use. We wrapped it with a towel to not get burned. The grab bar had a soap dish mounted directly above it so that it could not be used. There was no grab bar on the left. The floor drain was slow so the floor flooded while showering. The fact that the kitchen closed at 9:30pm. It's not too much to ask for a longer opening time at a 4 star hotel? We only arrived at 9pm and were under great pressure to get down quickly. Even then at 9.20pm only one course available as the kitchen "closes in 10 mins". Poor really. overall good. Staff friendly and the room nice. some of the staff where helpful. Nothing the stay was perfect ... Maybe be more clear with guests in Booking.com that Parking is a Public lot, BUT there is a section for the Hotel, its easy access right under reception, and the cost is run through the room. Its a +, so explain it up front! Upgraded us but took away our two beds and gave us one. :( The pillows were too flat and soft we needed more pillows. Our upgraded room was also not ready. We walked in to one pillow and one blanket, one towel one robe. The room obviously was not ready for upgrading a party of two. Definitely ask for more pillows! If upgrade didn’t happen we would have been happier along w more pillows. The room and the bath were very large and very clean. Location and staff were very helpful. Rooms were spacious.